Is it better to do in-house marketing or go to experts? 2 Aardvarks Marketing and Project Consultant, Jane Showell, has some tips about using external consultants to help with marketing in museums, following a discussion during #museumour. Jane works on both sides of the fence – she is also Marketing Manager at Luton Culture. 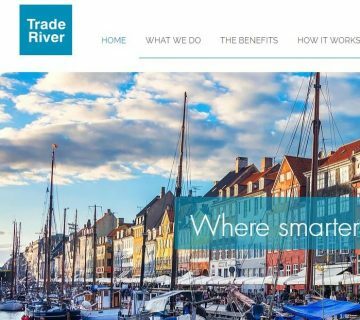 This blog originally appeared on cultureincolour.com. This question was posed by @benfaster at #museumhour on marketing and museums. It very much depends on what you are trying to achieve and the resources you have. It also depends on what you mean by ‘experts’? Being in-house does not mean you are not an expert. Ultimately you are the experts on your product – the museum you work in. What is it that you are trying to do? What problem do you want to solve? etc. If the problem you have is that your expert team/person does not have enough time and needs some help, then yes this is when you can tender the job out. On the proviso that your museum/ organisation has the expertise to manage the external consultant. If you have already had someone managing marketing for a certain period of time and their efforts have not brought the outcomes desired by the organisation, maybe this is the time to ask for external help. Maybe you have been looking at the problem too long and now it has become too murky to see. 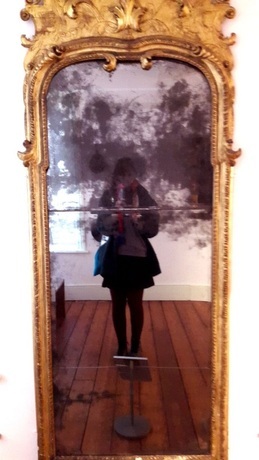 (like me in this 100 years old mirror at the Cecil Higgins Museum in Bedford). An external pair of eyes can sometimes help to identify issues that your in-house expert might not have noticed. Or quite often the organisation is more receptive to ideas presented by a consultant (even if your in-house expert has been recommending exactly the same thing for years). It may just need a new voice to present the ideas in a different way. If you can’t afford to sustain a marketing person in the organisation, an external expert that comes in, prepares a strategy and helps you implement it as a one off could be helpful. Sometimes specific projects include marketing funding in the bid or budget. In this case using a consultant means you don’t have to recruit a permanent member of staff for this short-term need. What do you need when hiring an external expert/consultant? The following tips will help you to work with the consultant more effectively and cost efficiently. A consultant could help you decide where you want to go and help you with your objectives, but ultimately you need to be clear on the desired outcome of their work. For example ‘increase visitor numbers by x%’. This helps provide focus to the consultant and helps you measure the value that they bring. Some consultants could work together with you to agree a brief, but if you have the expertise to do a comprehensive brief, do that. The brief may act as a binding contract, so make sure you are thorough and clear about your expectations and requirements. If you later realise that some of the work you wanted to be done were not included in the brief, the consultant may treat this as additional chargeable work. Be careful with this – make sure you put good thought into it. It is helpful to have a dedicated point of contact within your organisation who will help the consultant to understand your organisation better. This person would need to be able to manage both your organisation’s expectations and ensure the consultant keeps to the right path of where you want them to go. #museumhour is every Monday between 8-9pm UK time. This is based on a museum hour discussion on Monday 17 February 2015.